Which Apple iPhone for you? Its over eight years since the iPhone came on the market, and it's still the most popular smartphone on the planet. For years, Apple's iPhone offerings were very straightforward: one expensive top-of-the-line model, a more affordable iPhone with fewer features or slower specs typically identical to previous year's flagship model, and they all had the same screen size. Apple now offers four different iPhone models with different screen sizes and different prices. iPhone 7: Released Sept 2016. Improved front and rear cameras with optical image stabilization, especially in low light. Water resistant,(it can take a shallow dunking). A faster processor, plus better battery life. No headphone jack. iPhone 6 Plus: Apple's biggest iPhone. If you've always wanted the biggest screen possible on your iPhone, this is the model to get. Primary differences between the models characteristically lie in the display size, storage capabilities, and camera functionalities. S series devices are great for business professionals and students alike because they are customisable, capable for work and play, and sized just right. It's the only iPhone with optical image stabilization. For recording video, both iPhone 6 models offer cinematic video stabilization and continuous autofocus video, which aren't found in the iPhone 5 models. If you want to use Apple Pay, you have to get one of the iPhone 6 models. The NFC chip that Apple Pay uses is not found in the older iPhone 5 models. iPhone 6: The iPhone 6 has almost the same specs as the iPhone 6 Plus. It's only missing features are optical image stabilization in the iSight camera and the bigger battery in the iPhone 6 Plus. It's the iPhone to get if you want the latest and greatest but don't want the bigger size. iPhone 5s: This was Apple's top-of-the-line iPhone before the iPhone 6 was released. Now it's the high-end offering of the two smaller models. 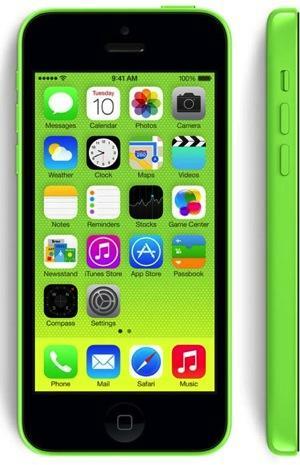 iPhone 5c: Released at the same time as the iPhone 5s, the iPhone 5c represents Apple's entry-level model. The iPhone 5c is very similar to the iPhone 5 that was released in 2012, as it uses the same internals. The iPhone 6 hits the spot between performance and size--it's the iPhone to get. It offers more screen than iPhones with a 4-inch display without being unwieldy. And it's the top-performing iPhone, so it'll handle the most demanding apps. Consider buying the 64GB version so you'll have plenty of storage for your photos, videos, and apps. The iPhone 6 Plus meets the demand of users who want a "phablet." It performs just as well as the iPhone 6, since it has the same processor. The 5.5-inch screen is brilliant, but for some people the overall size of the iPhone 6 Plus is too big and a clumsy item to carry. If you're serious about using the iPhone as a video or photo production device, the 128GB iPhone 6 Plus is the one to get, especially since it has camera features not found in the other iPhones. It's also got the best battery life out of all the iPhones because it's big enough to house a larger battery. If you like having a small phone, the iPhone 5s fits the bill. It still offers great performance even when compared to the iPhone 6. You'll miss out on Apple Pay and a few camera features. If you're looking for the cheapest iPhone available, right now it's the iPhone 5c. It's available only with 8GB of storage, so you may need to rely on cloud storage to make up for the lack of space.